HAMRIT-T1 is an elite, rust converter and metal primer for all marine, household, automotive, and industrial rust related problems. Rust occurs naturally when the iron in steel reacts with atmospheric oxygen and turns it into iron oxide. 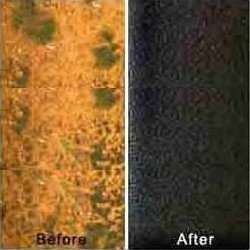 Through an innovative chemical conversion process, This rust Converter converts rust (iron oxide) into a stable substance, “magnetite”. It also primes the surface with a high quality latex metal primer at the same time. HAMRIT-T1 is truly one step corrosion control system. It converts rust into stable magnetite substance which is suitable for painting. It is a Water-based rust converter with high quality latex metal primer, Non-Flammable, Non-Corrosive, Easy to apply (brush, roll, or spray), easy to cleanup with soap and water. It is Eco-Friendly Alternative to Sandblasting. 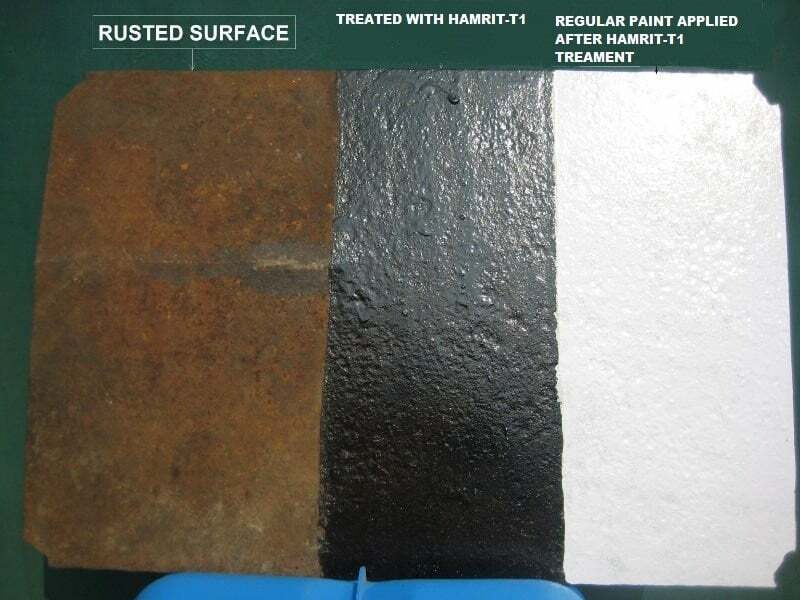 HAMRIT-T1 is the best way to deal with rust because it is less expensive, less time consuming, much more environmentally friendly than sandblasting. HAMRIT-T1 eliminates the need of sandblasting by chemically converting rust from iron oxide to magnetite, The metal primer creates black, inert coating which also protects against micro-contamination, such as chlorides and other impurities. It is a one step rust converter and metal prime.